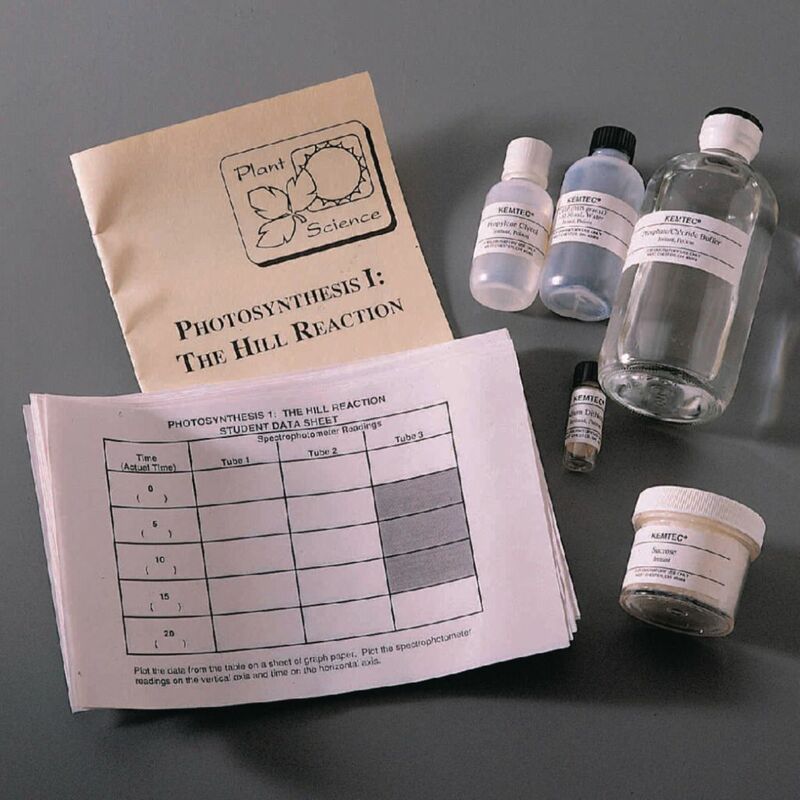 Choose just how in-depth you’d like to go with photosynthesis studies, with a two-part activity that explores different aspects of the complex process.The first part of the activity focuses on the Hill Reaction, as students carry out partial photosynthesis in the lab by splitting water. In the second part of the activity, students obtain the enzyme phosphorylase and use it to catalyze the synthesis of starch. Each kit includes enough materials for 12 setups, data sheets, and a teacher’s manual.